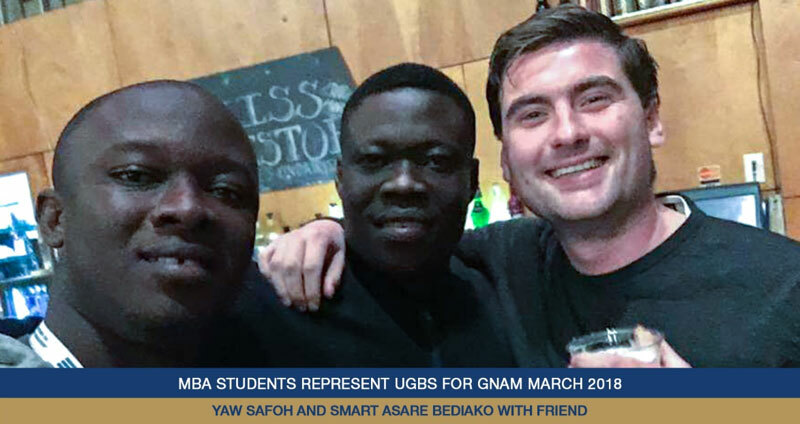 Yaw Safoh and Smart Asare Bediako represented the University of Ghana Business School at the Global Network for Advanced Management conference which occurred from the 12th to the 16th of March, 2018 at Yale. The conference was themed "Behavioral Science of Management. "The Global Network for Advanced Management is a powerful platform created by 32 of the World's leading business schools. Representing a shift beyond traditional partnership models of business school collaboration, the Global Network enables the development of innovative initiatives that leverage the schools' comparative advantages. Students were taken through 'Understanding Consumer Experiences' as well as through 'Negotiation Mindsets' where they examined various strategies for claiming value and discussed tactical considerations such as who should go first in a negotiation, what offer to make, and how to react to counteroffers. On the Overview of Behavioral Finance, students explored how ideas from psychology can be helpful in understanding fluctuations in financial markets, the ways investors trade, and the actions of corporate managers. At the end of the conference, there was a final presentation by the students and a certificate ceremony. Here, students gave group presentations and then received programme certificates.